Summary: Water is no longer viewed as a right throughout much of the world. 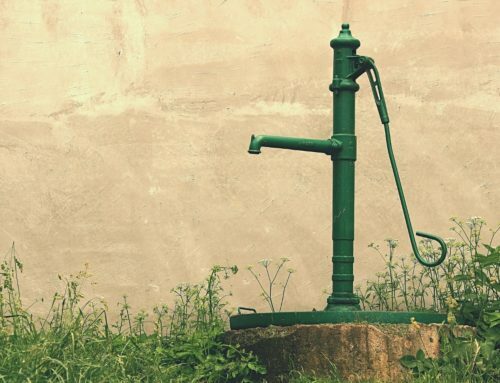 Due to the effects of climate change, erratic weather patterns, and the lack of water sustainability in regions like the Middle East, water is quickly becoming a commodity. Most Western people take water for granted, due to the ease of access to water in North America. Unfortunately, water is a much more valuable resource in other parts of the world, including the Middle East. Although water should be a right, it has become a commodity throughout much of the world, as a result of its scarcity. Countries like Jordan rely heavily on underground aquifers for their water, but this level of dependence is dangerous, as it makes Jordan vulnerable to anything that happens upstream of the Jordan River. What is also problematic is that Jordan is drawing 200 percent more water than is sustainable, which means that they are quickly drying up their only source of water and nearly guaranteeing that their country will be faced with drought. For a country in the Middle East that regularly experiences a hot, desert climate, the threat of drought is absolutely devastating. Water scarcity is directly related to food scarcity, which can lead to crime, violence, or even war. External threats like climate change, erratic weather patterns and the lack of water sustainability in regions like the Middle East have turned water into a commodity – and a valuable one at that. Even in areas where there is water to drink, locals cannot even be sure that it is safe. In Basra Governorate, which is south of Iraq, there have been over 100,000 cases of poisoning reported as a result of people drinking polluted and salty water. Tens of thousands of fish have also died due to an unidentified disease in the Euphrates River, which is south of Baghdad. Although many people are demanding that their governments find a solution to this problem or analyze their current water sources, not much has been done. It is for these reasons that it is so important to find a deep, reliable source of groundwater when you choose to drill your own well. Thankfully, American Water Surveyors can help you determine where to dig, as well as the quality of groundwater available to you through our products and services. People who don’t live in urban areas where clean water is piped in need to have access to well water that is safe to drink. However, water well drillers often depend on antiquated or guesswork methods to determine where water may be found. When you decide to dig your own well, make sure that you get it right the first time by contacting American Water Surveyors before you begin. Our water finding services take the guesswork away for drillers, and this can save you thousands of dollars. We use state-of-the-art technology to provide our clients with the important service of finding groundwater depth, yields, and suitability, prior to costly drilling. The technology that we implement into our groundwater surveys has been successfully used for over a decade to determine the location, depth, yield, and flow of groundwater sources. Contact American Water Surveyors today by emailing info@wefindwater.com or calling us at 1-877-SEISMO1 (734-7661) to request additional information.